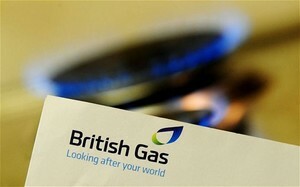 Energy giants British Gas and Scottish Power have gone public this week with their yearly profit reports, but both energy suppliers’ figures tell two entirely different stories. Scottish Power began the week with an announcement that their pre-tax profits had risen four-fold, with parent company Iberdola seeing profit figures rise from £27m to a staggering £114m. However, the announcement was ill timed, as the CMA (Competition and market authority) tainted the news by indicating that energy companies are over charging consumers by an eye watering £200 a year. Following the CMA’s report, British Gas hinted that their customers could be enjoy further reductions to the price of gas throughout the year ahead, despite experiencing a 35% fall in annual profits. This decline in profits has been attributed to the recent plunge in oil and gas price. But Iain Conn, the new CE of British Gas’ parent company Centrica, sounded optimistic when he predicted the price falls to stretch as far as 2017 for some customers. Energy consumers are only just starting to experience price drops from the falling price of wholesale gas. As such, this pricing strategy has been criticised by industry experts who claim it has conveniently come into effect at the end of winter. “However, given the savings available elsewhere, it's advised that customers take matters in to their own hands and seek the best deal themselves to ensure they pay less for their home energy bills." If you’re tired of waiting for energy suppliers to drop their prices in line with wholesale costs, see if you can save yourself some money by switching your energy tariff using our price comparison service.